The climate in Saudi Arabia causes a constant demand for electricity, from both industrial and domestic sectors. The new power plant is the answer to the high demand. It is located in the coastal area, 100 km southeast of Jeddah in Saudi Arabia. With its modern and highly efficient power generation equipment, the Shoaiba II is a combined cycle power plant with an output of 1,200 MW. This power plant produces electricity by burning crude oil. 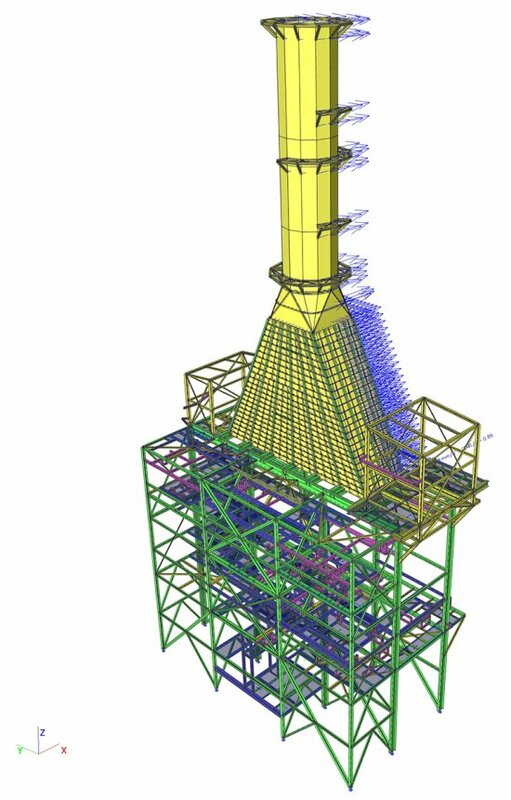 It features 10 gas turbines and two steam turbines. 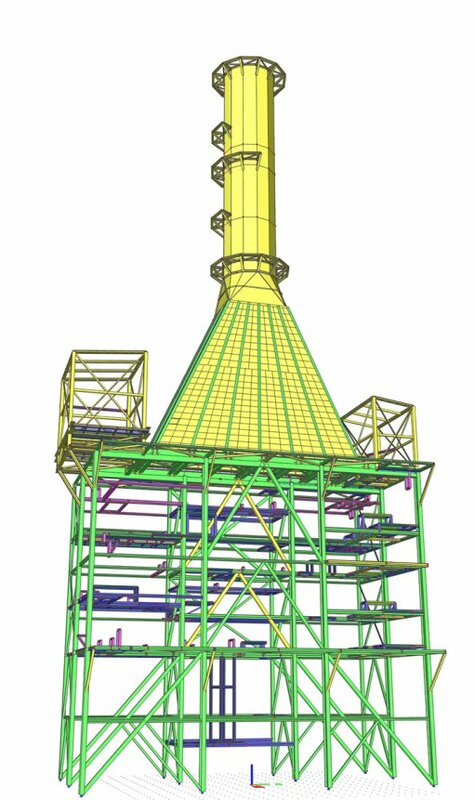 One gas turbine cylinder is 60 m high, and its diameter is 4.6 m. The ground surface at the bottom of the transition piece is 26 x 13 m.
all the connection details that had to match together. 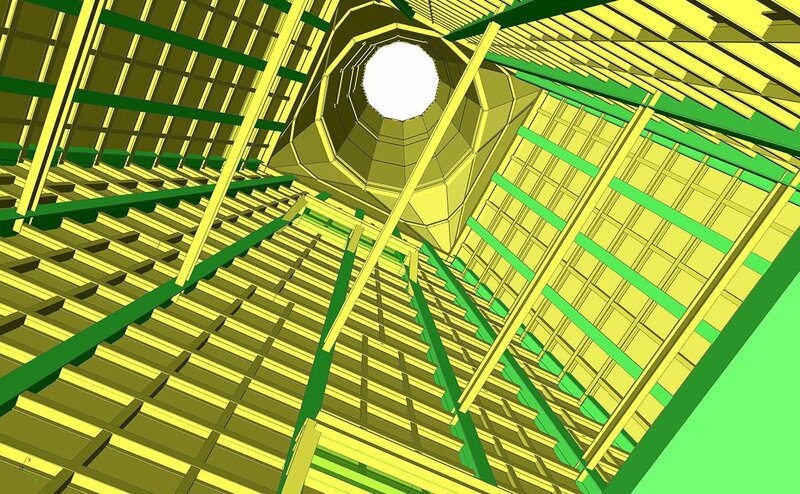 The structure of the cylinder and its transition piece was modelled using 2D-plates and stiffening beams. 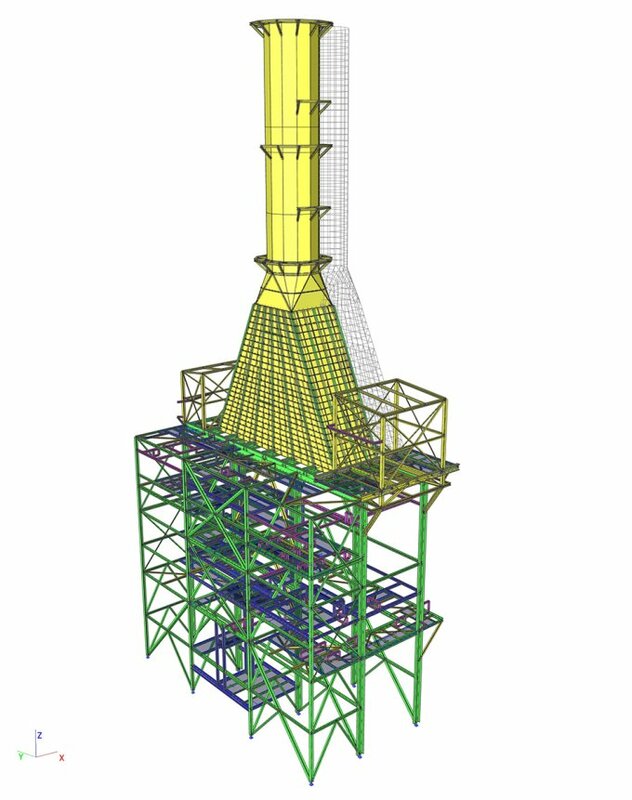 The internal furnace structure was modelled in a separate SCIA Engineer project to verify that it meets the seismic requirements (0.30 g). Seismic analysis, general vibration analysis for wind vortex, and stability check were used to verify that the model fulfils all the prescribed criteria. 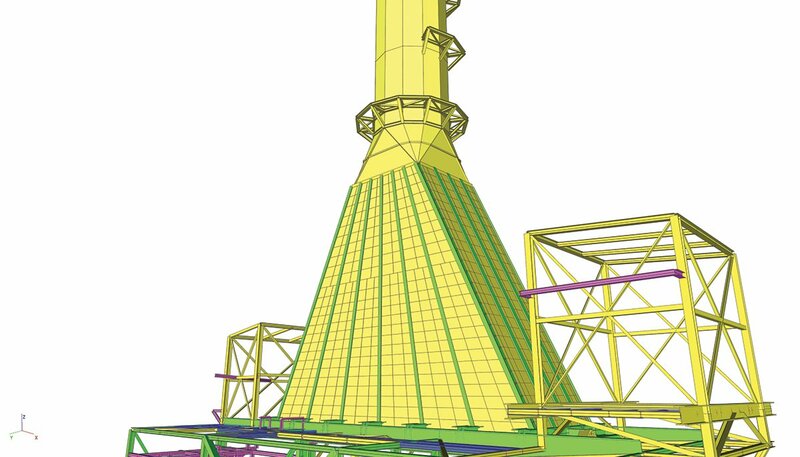 The eigenfrequency of the main structure was designed to comply with the wind vibration mode of the American standards. SCIA Engineer was also used for steel checks according to American standards. 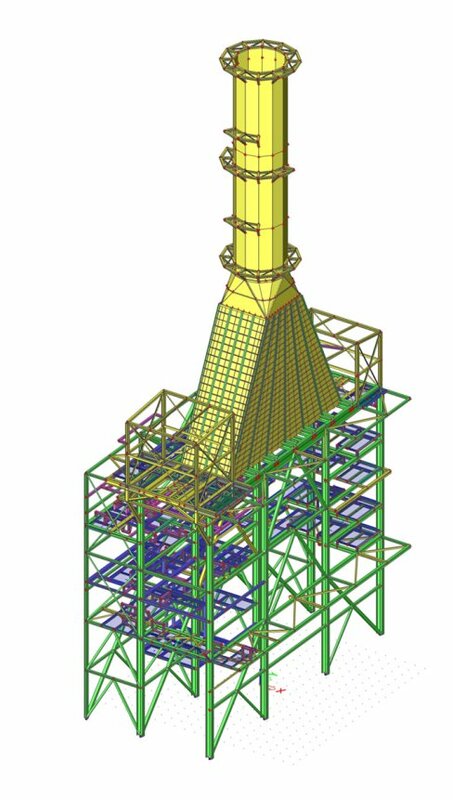 Thanks to a good optimization of the plate thickness of the upper shell, the client reached a 30% reduction in the weight of steel. I.d.d. 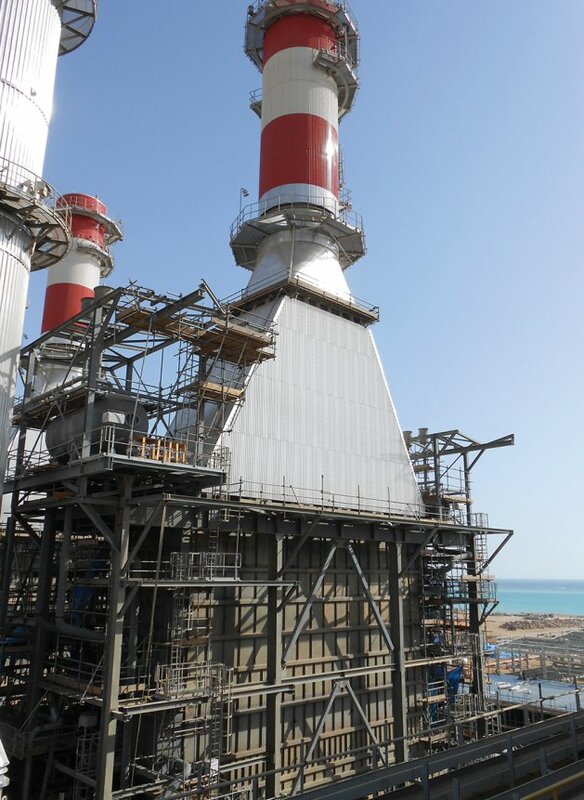 Engineering's Power Plant project is the winner of the SCIA User Contest 2017 – Category 3, Industrial Buildings and Plants.